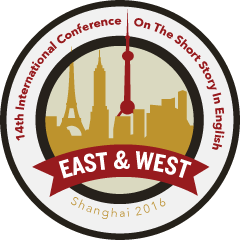 Theme: “Influence and Confluence in the Short Story: East and West"
This conference will bring writers of fiction in English (Irish, British, American, Canadian, Australian, Caribbean, South-African, Indian, Sri Lankan, Indonesian, etc.) and writers who have had (or will have for this event) their work translated into English together with scholars of the short story, and all will join in reading sessions, roundtable discussions and panels, including ones devoted to translation. The 14th International Conference on the Short Story in English will also host a number of sessions, both in the more traditional format (with presentation of papers) and in other formats involving performance, dance, art, films, etc., having in mind that the form of the short story is not necessarily confined to the limits of the written page but may open up to manifold fields of expression. This will be the first Asian venue for the conference. * On Tuesday, 12 July, the day before the Conference begins, there will be workshops.